Series of events, organized from 28 until 30 October 2014 in Vienna, Austria, provided an opportunity for NALAS to present its work and enhance the cooperation with public utilities from South-East Europe and their representative Associations. 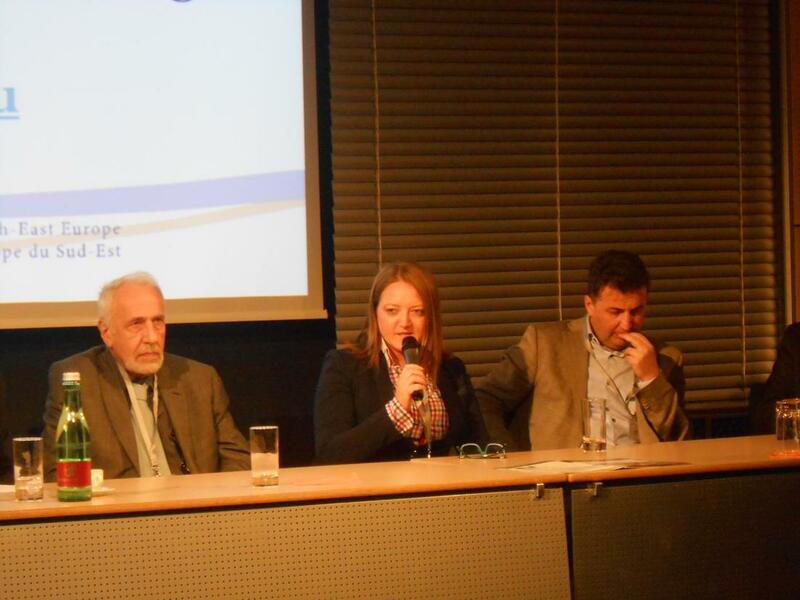 During the 6th European River Restoration Conference (28 October 2014) a special session was organized, focusing on the floods that hit the region as of May 2014. The session provided information about what happened during the floods and evaluated the lessons for water services and water utilities. Also, it included key international institutions involved in emergency response and flood prevention. At this session, NALAS presented the solidarity of the Network in providing support to the flooded municipalities, lessons learned from this process, as well as the next steps that the Network plans to implement to address its members' needs in disaster management and preparedness. In the upcoming period, NALAS Task Forces in Urban Planning and Solid Waste and Water Management will take the lead to produce: LGA Manual; List of policy issues relevant to disaster preparedness and management; Draft a NALAS network structure and protocol for acting in emergency situations. Also, NALAS will assist in providing capacity building for LGAs in disaster management. At the meeting of Danube Water Utility Associations (29 October 2014), during the session on knowledge management, NALAS talked about its work in policy making and capacity building. Also, NALAS Knowledge System was presented, with an accent on possible cooperation with the water utility associations through the Danube Water Program. As concluded from the session, NALAS Knowledge Centre is a great resource that can be used as a model for the water utility associations. Since the provision of quality water services for citizens necessarily includes both local governments and public utilities, NALAS, working with local governments associations and their members, the local governments, can match its expertise with the expertise of water utility associations, which focus on the public utilities. 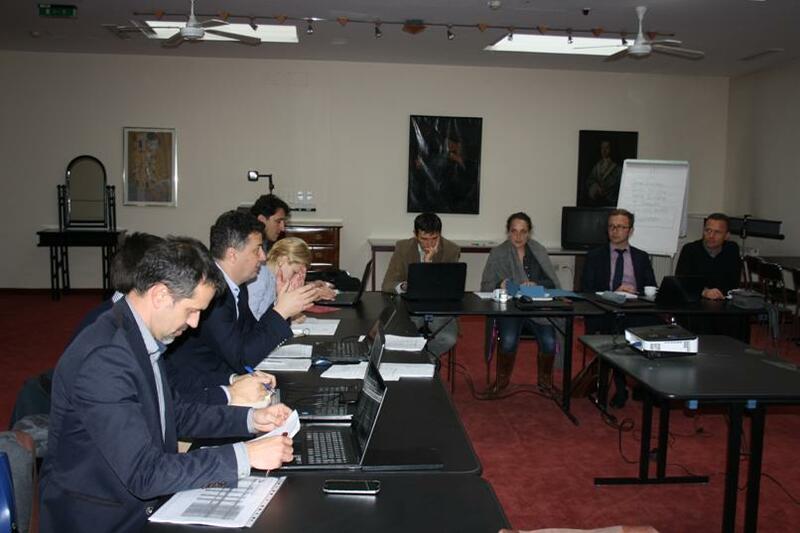 In partnership with the Danube Water Program (DWP) and the Open Regional Fund-Modernization of Municipal Services (ORF-MMS), as part of the Regional Dialogue Platform on Water and Waste Water in SEE, a session of the Working Group on Training was organized on 30 October 2014. LGAs and PUAs discussed current developments and challenges in the water sector. DWP presented the progress of their ongoing regional research about the state of the sector. Shukalb, the Association of water utilities from Albania presented the progress of their ongoing research on the framework and business model for regional training network on water and waste water for Western Balkans. They also informed about their recently approved project that will aim to develop 40 training courses in water management, supported by USAID for the period October 2014-October 2017, worth $1.3 million. Mr. Sandi Zulic from Aquasan, Bosnia and Herzegovina, presented NALAS' and Aquasan's efforts in developing a Regional Decentralized Training Facility, while Ms. Alexandra Preis presented GIZ experience in capacity building for the water sector worldwide. Ms. Jelena Janevska presented the activities of the NALAS regional e-Academy, as an invaluable resource for providing high-quality, modern and practical online e-learning courses. The Working Group on Training opened important discussions about the structure and organization of future trainings, as well as the issue of exchange, coordination and cooperation among the different stakeholders involved in the water sector. On 30 October 2014, a working meeting of the project Local Leaders South East Europe was organized, focusing on providing feedback to the proposed methodology for training needs assessment. This training needs assessment will cover 15 municipalities and their public utilities from 4 countries and will serve as a base for establishing a regional training scheme for developing management capacities in the water sector.